11 April 2017. An agency of National Institutes of Health is funding a clinical trial of a new malaria drug engineered to overcome resistance developed to earlier treatments. National Institute of Allergy and Infectious Diseases, or NIAID, is sponsoring the study of a drug commercialized by DesignMedix Inc., a spin-off enterprise from Portland State University in Oregon. Malaria, according to World Health Organization, affected 212 million people in 2015, which extracts heavy social and economic burdens in developing countries. In 2015, some 429,000 people died from malaria, of which 92 percent were in sub-Sahara Africa. Children under the age of 5 are particularly susceptible to the disease. The disease is caused by infections from the Plasmodium parasite transmitted by mosquitoes. In humans, the parasite multiplies in the liver, then infects red blood cells. Symptoms, including headache, fever, and vomiting, occur 10 to 15 days following transmission from a mosquito bite. Chloroquine was an early and, until recent years, effective treatment for malaria, but the a number of parasite strains developed a resistance to chloroquine, making the drug ineffective in most parts of the world. 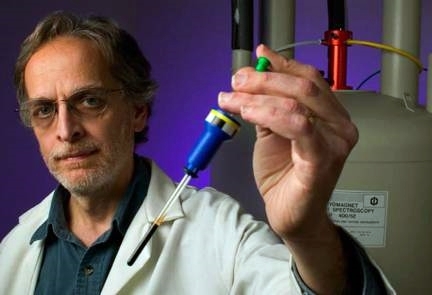 DesignMedix licenses the research of David Peyton, a chemistry professor at Portland State, that founded the company in 2008, and where he continues as chief scientist. Peyton’s lab developed a technology that restores the potency of drugs against resistant pathogens, by designing hybrid forms of the old drugs with anti-resistant compounds bound to the original chemistry. The company applies the technology to create new drugs to treat infectious diseases where resistance develops to earlier therapies. DesignMedix’s lead product, code-named DM1157, is a treatment for malaria based on chloroquine combined with a resistance-reversal agent. NIAID supported the drug’s preclinical research and development through a Small Business Technology Transfer grant that continues through March 2018. Portland State received a U.S. patent for the technology applied to chloroquine-resistant malaria in November 2016, with Peyton listed as one of the two inventors. DM1157, says the company is designed both to kill the malaria parasite and block further resistance to chloroquine. The new clinical trial will primarily test the safety of DM1157 in humans recruited at Duke Clinical Research Institute in Durham, North Carolina. The study is expected to take about one year. DesignMedix takes advantage of incentive programs from Food and Drug Administration that are speeding development of DM1157. The drug qualifies as an orphan drug, since it’s designed to treat a disease affecting fewer than 200,000 people in the U.S. DM1157 is also eligible for a priority review voucher for tropical diseases, of which malaria is one. In addition to its NIH support, the company received $1.5 million in angel investment funds in 2014, mainly from local and regional sources.